byThere are a number of vendors offering reproduction French uniforms of varying quality. However, few vendors have managed to even come close to matching the correct weave, weight and color of original French uniforms. Old uniforms from Great War Militaria, one of the vendors who offered great reproduction uniforms, are hard to come by and are often in used condition. For this reason, and to procure a more faithful copy of the original Horizon Blue wool, members of the Great War French reenacting community worked together to produce a quality and truly authentic cloth unmatched by any other. To find out more about this wool, including how to purchase it, please visit www.horizonbluewool.com. 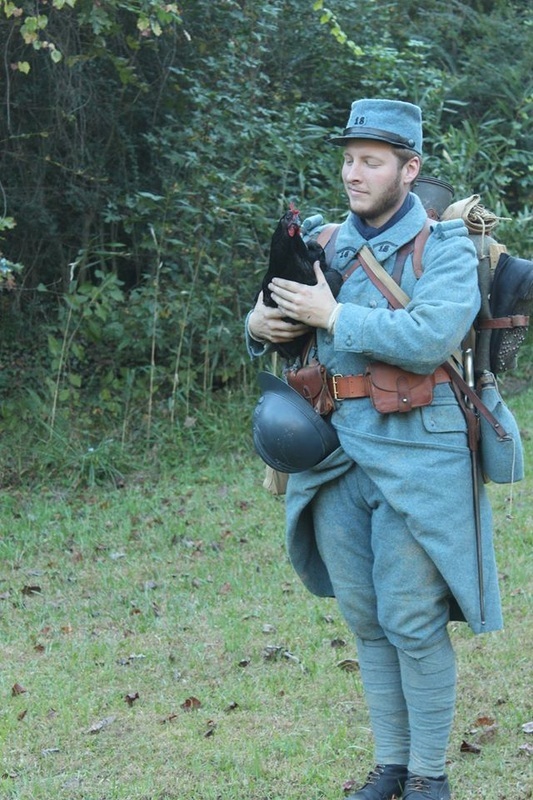 We believe it is important to make this note about the Horizon Blue wool in order to help new recruits and others interested in French WW1 reenacting to avoid making costly mistakes in the accumulation of their impressions. While on one hand we do not mean to degrade the work and reproductions of other vendors, it is simply a matter of fact that the uniforms made within the GWA French Battalion are among the few reproductions available that are both accurate in their design and construction as well as made from the very best wool in terms of color, weave and weight. Arguments that there were variations in shade of Horizon Blue wool have some validity, especially for the 1914-1916 period; however, the wool used for the vast majority of French uniforms for the 1916-1918 period was made from an official and specific blend of wool fibers: natural unbleached wool, light blue wool, and dark blue wool. www.greatwar.comWhile it may seem like a minor issue to some, the truth is that the French Horizon Blue uniforms had a distinct shade and appearance that has not always been well represented by reenactors (which leads in part to a misunderstanding of the visibility and camouflage of these uniforms). We guarantee that a uniform made from the correct Horizon Blue wool will not disappoint!